There are multiple products available in the market but the truth is, we all are a sucker for Natural Oils. These oils aren’t just chemical free but also have healing properties that fix the problems just right. From health to hair and skin, there’s barely anything that cannot be treated with the properties that natural oils hold. Now if you’re wondering which is the best natural oil for skin and hair, my answer is Castor Oil. 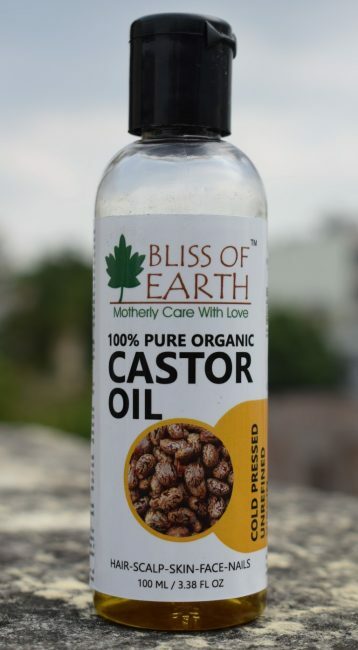 In this article, I will list the best Castor Oil brands that are available in India along with their buying links. 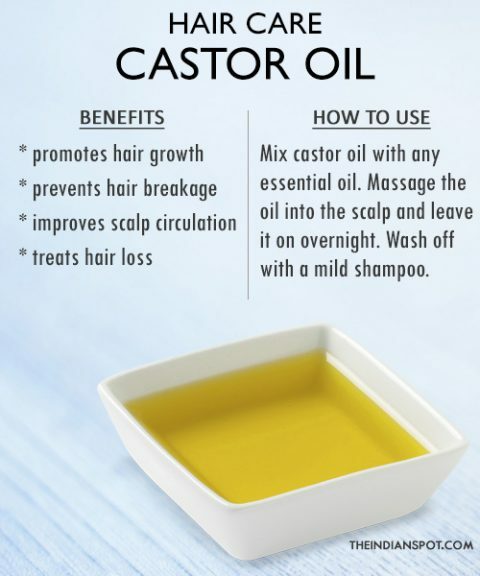 But before I mention that, it’s important to know what is Castor Oil and why is it so useful. Read ahead to know more about the benefits of this oil. Having used it myself, I can vouch for the fact that this brand provides genuine and effective Castor Oil. you can rely on the brand for safe consumption of the product as it does not have harmful chemicals, fertilizers, and artificial ingredients. Since this is a pure cold pressed oil, the purity of the product sustains. It comes in a compact bottle which is easy to store and carry while traveling. It is also one of the finest laxatives. Pure and Sure Castor Oil can be used externally on skin and hair. This oil is also edible so you can use it for cooking or use it to treat health problems. 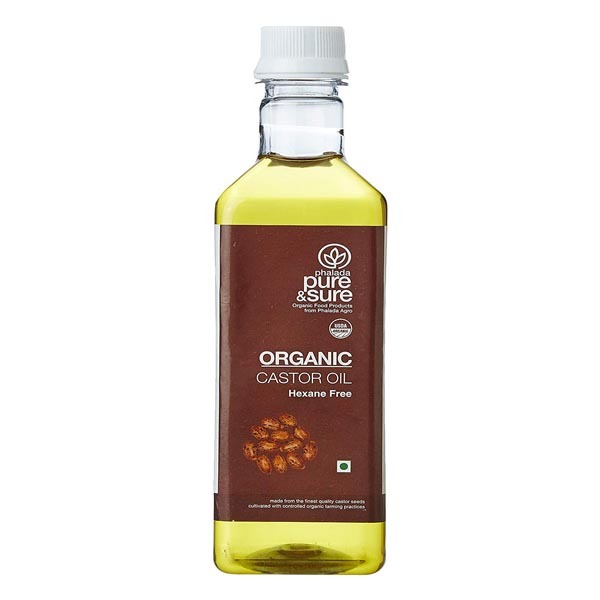 This is another ultimate brand for Castor Oil in India. The best thing about this oil is that the castor beans that are used to extract the oil are organically grown and cultivated. The product is easily available on all shopping websites and can be used for hair and skin care. Bliss of Earth is known for its organic and pure products. Using this castor oil regularly on your skin can result in miraculous benefits and treat dark circles, wrinkles, and dry skin problems. 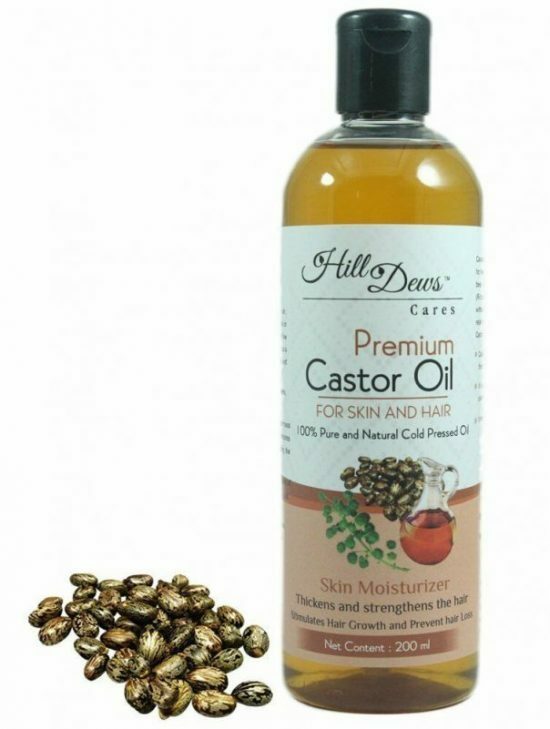 Extremely popular among the consuming audience, Hilldews Castor Oil is 100% pure and unrefined. The oil works best for skin and hair and treats dry skin miraculously. You can also trust the brand to get rid of the frizz in your hair. It leaves your hair soft and manageable after regular use. Not just for beauty, this oil can also be used for health benefits. The oil is chemical free and suits almost everyone. Using castor oil can not only treat health problems like arthritis pain, back pain, and other health-related issues. 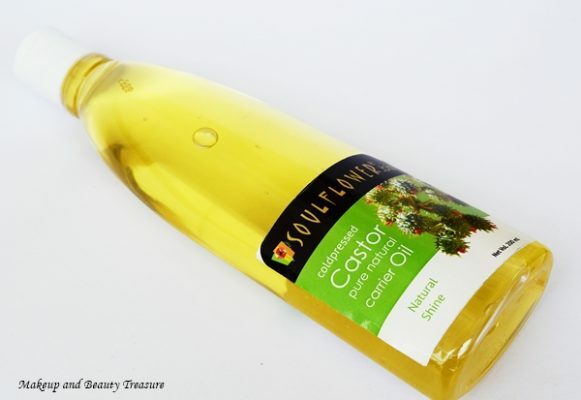 Soulflower Cold Pressed Castor Oil is a Hexane-free, organically produced cold pressed Castor Oil that has a huge amount of therapeutic properties. This brand is by far one of the most promising brands in India for essential oils. The packaging is also pretty good and easy to store. One of the most amazing benefits of Soulflower Cold Pressed Castor Oil is that it can treat nail cuticles and help you get stronger nails in no time. The brand is also FDA Approved, which means that there’s no compromise with the quality. The multiple benefits that this bottle of Castor Oil contains in it is incomparable. This carrier oil promotes hair growth, thickens eyelashes and shows extremely amazing results when used regularly. Your skin will thank you for this one, trust me! 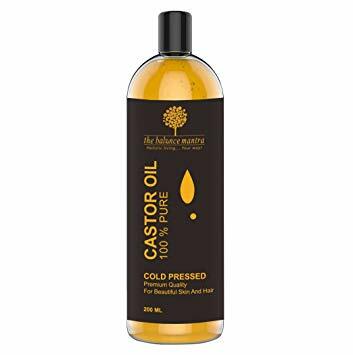 Cold Pressed Castor Oil by The Balance Mantra is one of the best products for hair growth. Though the product is priced at a little higher side, you can easily get it for a lesser price on Amazon. Routine head massage with this oil can result in thicker, longer, and shinier hair. 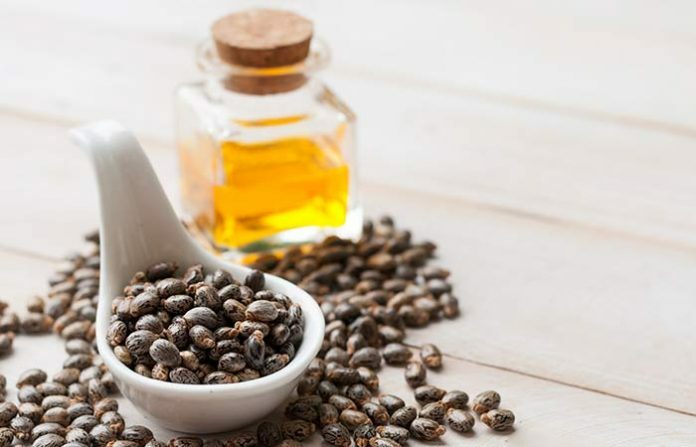 Castor oil is not unknown among people for its qualities. It’s one of the most popular oils among people for skin and hair care. It is a pale yellow, thick vegetable oil that has a distinct odor and taste. The extremely beneficial castor oil is made up of Ricinus Communis, which is a scientific name for Castor bean. The oil is extracted from the Ricinus seeds after drying them up so that the shells split open and the oil can be extracted and pressed for the seed inside. Castor Oil is known as अरंडी का तेल (Arandi ka Tail) and is available in general stores everywhere. Why Is Castor Oil More Popular Than Other Oils? Though all the natural oils are beneficial, castor oil, however, has occupied the top position. It has properties that can be used to treat hair and skin problems including acne, psoriasis, and others. Apart from the beauty benefits, this oil also has significant solutions for health problems and anti-fungal properties. Unlike most natural oils available in India, Castor Oil has multiple uses in every household and plays a vital role in the beauty regime. 1. It is rich in fatty acid (Omega 9) which helps in treating hair fall, eyelashes, and makes hair strong. 2. The consistency of Castor Oil is thick. This makes it more economical as it can be used for a long time. 3. The presence of ricinoleic acid promotes the anti-bacterial and anti-fungal properties in the oil, making it useful for health-related problems, hair, and skin. What Are The Benefits of Using Castor Oil? I am sure you’re eager to know about the benefits of using castor oil. Here, I will cover the benefit of using castor oil for skin, health, and hair. Read through! 1. To reduce dandruff, mix 2 tbsp Castor Oil with Lemon Juice. Apply the mixture and leave overnight. Wash in the morning. 2. For dry and frizzy hair, mix 2 tbsp Castor Oil with 1 tbsp Honey. Apply the preparation on your hair and wash after 2 hours. 3. Add Jojoba Oil to Castor Oil and apply the mixture to your scalp. This will bring shine in your hair. 4. Use Castor Oil with olive oil to premature greying of hair. 1. Apply Castor Oil with cotton balls at night to reduce dark spots. 2. Mix Castor Oil with 1 Vitamin E capsule and apply the mixture under your eye to treat dark circle. Leave overnight and wash in the morning. 3. To prevent acne, wash your face with lukewarm water and massage with oil. Leave it overnight. 4. 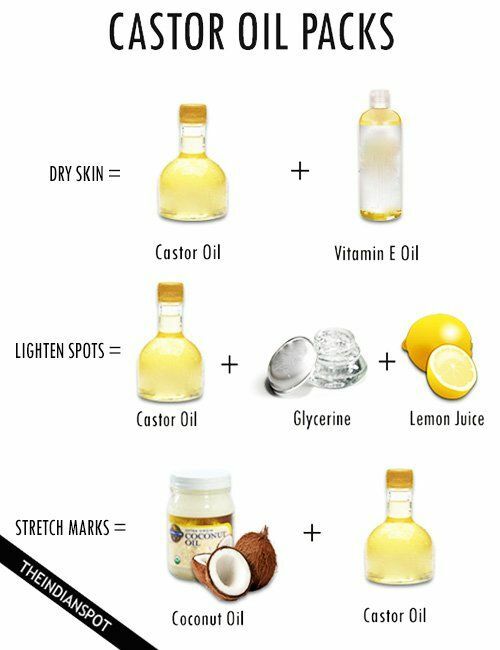 You can mix Castor Oil with Olive Oil and Almond Oil to get glowing skin. Note: This quantity can be increased according to the length of your hair. For best results, use the oil constantly for a couple of months. 1. Apply a mix of castor oil with coconut oil to treat wounds, ringworms, and other infections. 2. For summer detoxing, mix 1 tbsp of castor oil in half glass cold milk. Drink once in a week for stomach detoxification. 3. For better digestion, boil a cup of water with crushed ginger. Filter the ginger tea and mix one tbsp of Castor Oil. Drink daily for better digestion. 4. Castor Oil massage in the pain area followed by hot water bag massage can help in treating chronic pain. Though not many side effects are reported after the consumption of Castor Oil, one should always be careful while using products. The best advice would be to do a patch test to understand if your body type is allergic to castor oil. Nonetheless, there are a couple of instances reported by people who used it. Here are a few of those, take a look. 1. Overconsumption of Castor Oil can cause diarrhea. While consuming the oil with water/milk or any other product, keep a check on the dosage. 2. There have been a couple of allergy cases caused after the consumption or usage of Castor Oil. 3. Castor Oil stimulates labor pain. Pregnant women should be careful while consuming Castor oil as it can accelerate labor. However, in case your labor is overdue, you can use castor oil to trigger labor. This was our list of best Castor Oils brands in India. Try them out and let us know which one worked best for your skin type. In case we missed any exemplary brand in our list, do let us know in the comments section and we will update the list.